Lazy cows amble in a field of spring wild flowers in the water color center of this pastel Vintage Easter Cross. 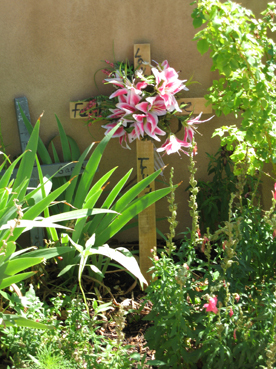 Story Crosses were designed to showcase scenic views including pastoral scenes like this one. The well drawn carnations give the feel of looking through the card into another world. Charming, but I’m still not sure what cows have to do with Easter. 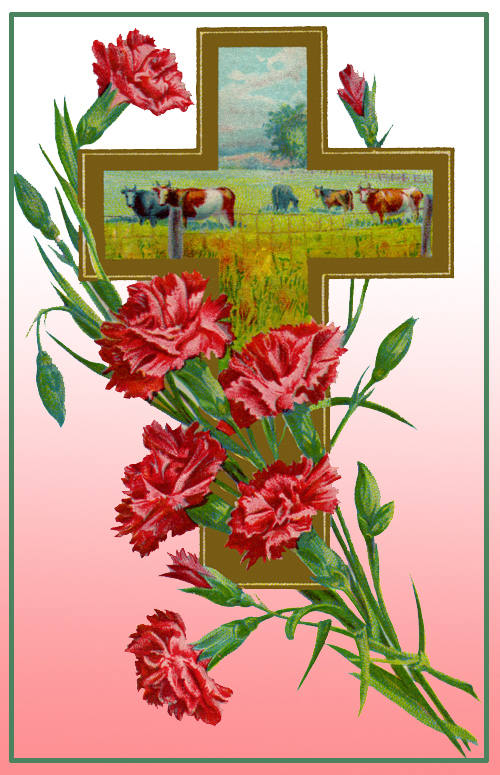 This Free Country Story Easter Cross with Carnations Greeting Card Clipart is available at Cross of the Day Free Cross Clipart here. An updated version of a restored Easter Cross card shows off sprays of traditional vanilla Easter lilles. The celdon greenish-gray cross is embellished with subtle Art Deco elements. 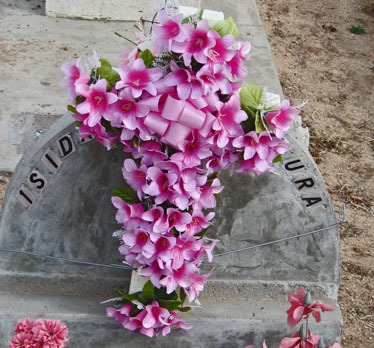 It’s a great combination of classics–lillies and cross–translated to the 20’s. 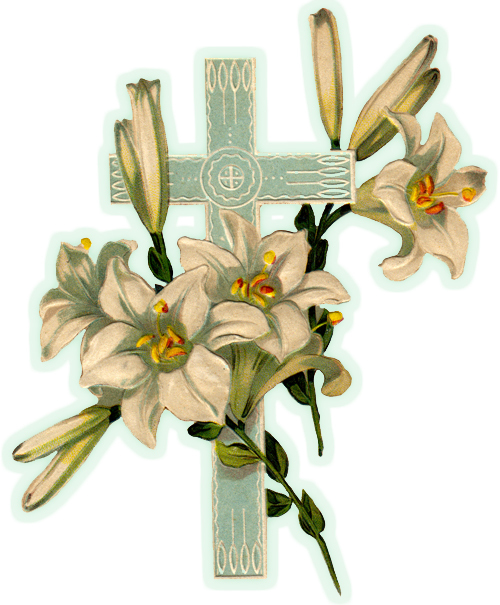 This Free Easter Lily Art Deco Cross Greeting Card Clipart is available at Cross of the Day Free Cross Clipart here. White and purple lilacs in the spring always make me nostalgic for my grandmother’s house. In the spring it was full of huge vases of lilacs. This vintage Easter Cross card is one of a series of 1900’s Easter Cards that reminds me of her. 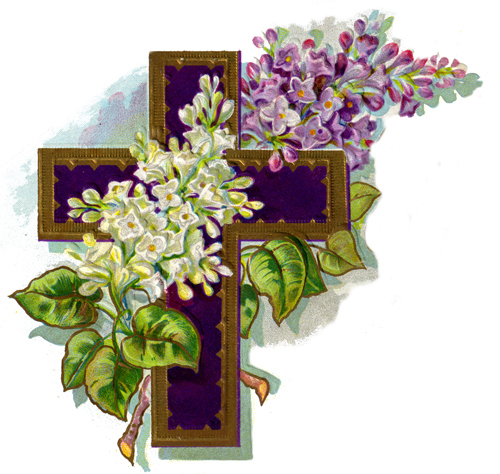 This Free Vintage Easter Lilac and Cross Greeting Card Clipart is available at Cross of the Day here. Another of the wonderful handpainted vintage Easter cards that bring back memories of gentler days. 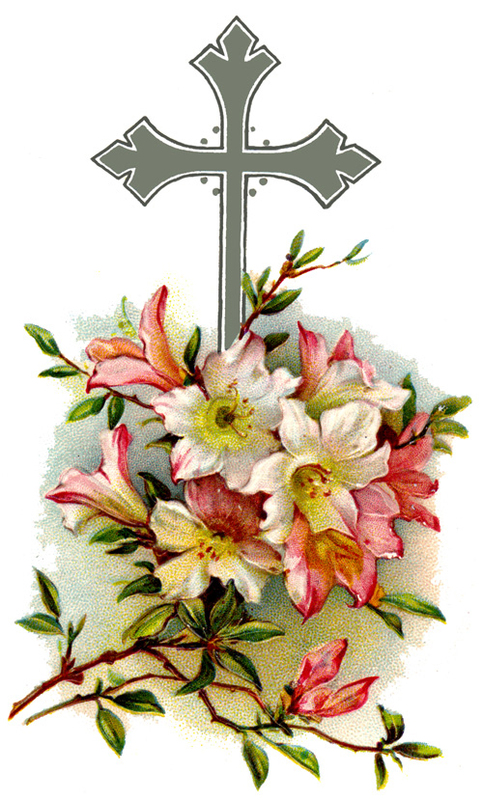 This one comes from an antique German embossed Easter card. 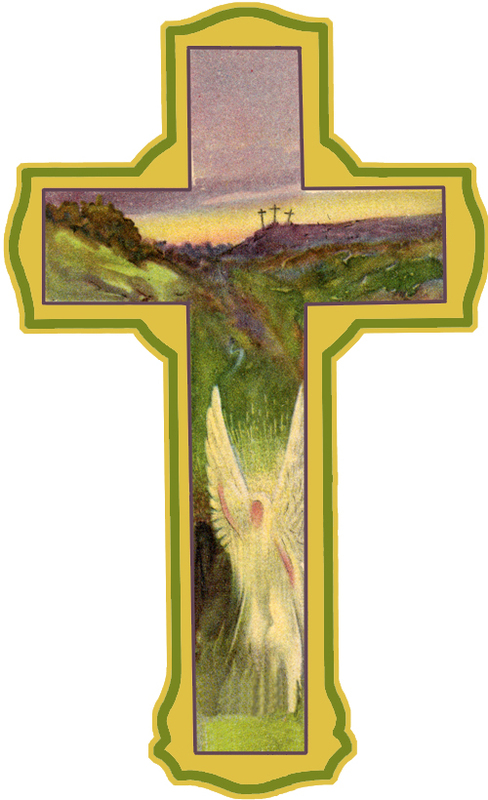 Looking for real Vintage Easter Cross Cards? Head to Etsy and start here.